Following the lovely responses we’ve had to our other spoken word pieces (see Brendan’s Correct Way to Scratch, Leigh’s Month as an Assassin and Quinns’ favourite drinking games) this week in the podcast section we have Paul telling us about the quite singular way that he remembers the most influential, most important board game in his life. And how it lead him astray. Here’s the story of how I bunked off school to play a board game and how that board game changed my life. Saying that immediately makes me excited to tell it. I must be turning eleven. I’m not yet at the bigger school in the next town where everyone becomes teenagers and has a proper homework diary, but I’m getting there and my birthday’s just come. My teacher is Mrs. Jackman, who will be endlessly frustrated by me because I won’t focus on my work enough and my mind will probably always be somewhere else, a stark contrast to how well I used to work when I was younger. When I was ten the world was a tiny place and a trip to the town of Reading, which was less than twenty miles away, was like a trip to Milan. You have to understand, I lived in a village where there was nothing. The shops were in the next town along. Cities were hours away. I didn’t have a bike and I wasn’t given very much freedom by my family. Reading was amazing to me because it had streets packed with shops, even one place that was dedicated entirely to gaming and nothing else. 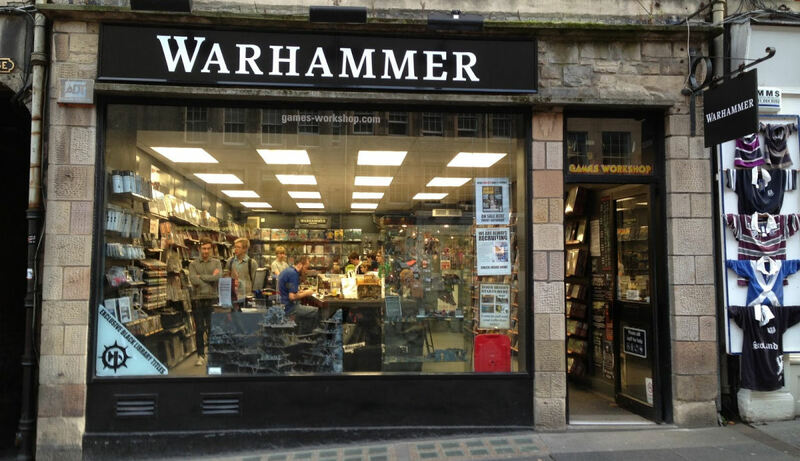 It had a Games Workshop. A lot of my interaction with Games Workshop was through the pages of its magazine, White Dwarf. I looked at its board games, its miniature games, its roleplaying games through this thing that was as much a catalogue as anything else. Most of the time these things were just pictures on a page, but a couple of times a year these trips made them real, tangible, three-dimensional objects that I could touch and, if I was lucky, even take away with me. I don’t know about where you are, but where I’m from, pre-teen kids don’t really have any disposable income. Or any income. 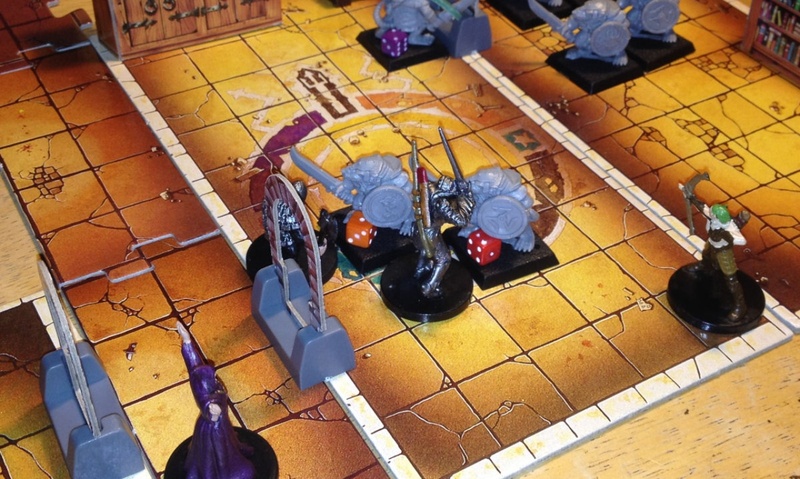 I’ve talked a dozen times about how it was HeroQuest that got me into board gaming. HeroQuest was everywhere in the late eighties, by which I mean there were adverts on TV and, critically, the game was in department stores. You didn’t have to go all the way to distant Reading to point at it and tell your parents it was top of your Christmas list. 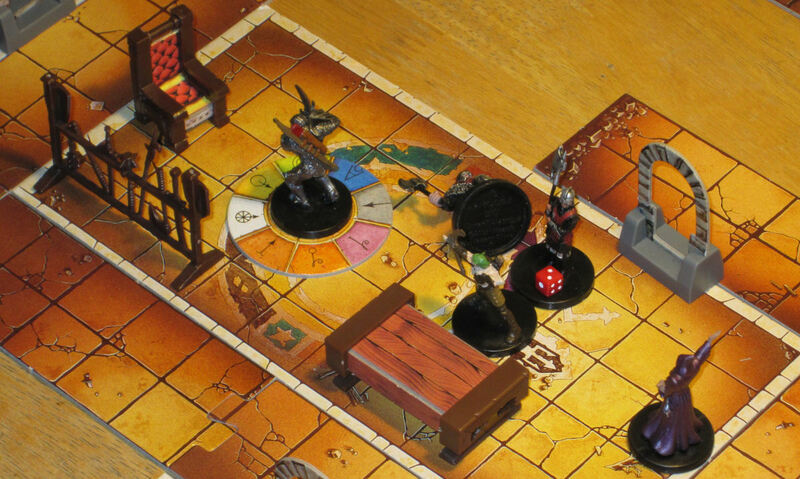 HeroQuest was the absolute perfect antidote to Monopoly and Cluedo and everything stuffy and staid about board gaming. It was the best that board games could be. But one evening in that Reading Games Workshop I saw something that turned my world on its head. When I’ve talked about HeroQuest (above) I’ve also mentioned how I just immediately got the game. You explore dungeons or ruins, kill monsters and get treasure, one player managing the dungeon while everyone else played the heroes. Sure, I had to learn the rules, but the concept immediately made sense to me. I understood that you could have mechanics for those things and, of course, of course I saw the appeal. I was not at all ready to see, stacked across one wall, a great row of boxes for something called Advanced HeroQuest, larger than any game box I’d seen before, and I didn’t even know where to begin when the front of the box declared “Includes full rules for solo play.” Solo play? You could play a board game by yourself?! The disappointing truth was not all of my friends wanted to play HeroQuest. They didn’t understand the rules and they didn’t care to learn. Everyone my age was starting to get into football or they still watched a bunch of cartoons. They were happy with a lot of the established things that were being pushed their way and they didn’t much want to try anything new. While I had a few friends I could play with, my pool was dwindling. 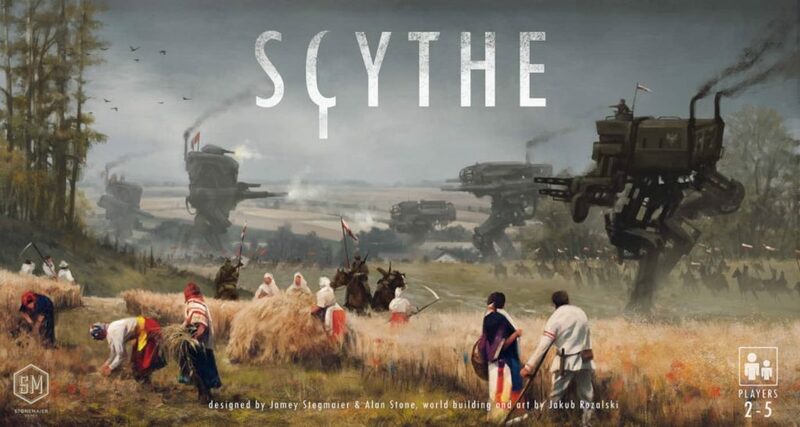 Could I really enjoy a board game the same way I could a video game? 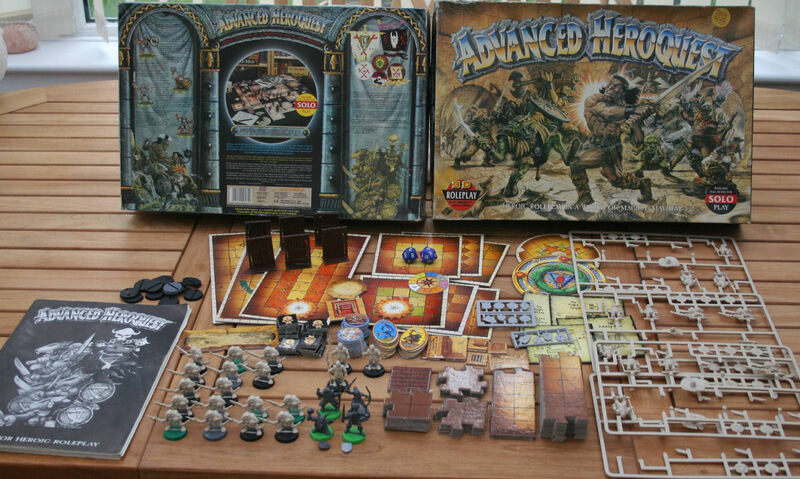 Advanced HeroQuest was too big to expect for an eleventh birthday present and anyway, it was something I’d only seen once and barely knew anything about. It existed only in the distant land of Reading, stacked across just one wall somewhere. It was as intangible as any of the other listings in White Dwarf’s appendix. A concept. A dream. When you’re that sort of age in that sort of place, you know that only a very small amount of your dreams will come true. You manage your expectations. Imagine my surprise when it turns up on the evening of my birthday. I am small and it’s like a shipping crate to me. The box rattles and opening it is like peering into Tutankhamun’s tomb. Everywhere I look there are wonderful things: a heavy manual, thirty miniatures, endless board tiles, great chunks of tokens and rules that let me import all the stuff from HeroQuest into the game. At the time, I think this is a lot, but I don’t have the remotest clue. So there I am, the next day, in class with Mrs. Jackman and I probably have to do a painting of a plant, or another poem, or a “sketch of a natural object.” Mrs. Jackman was obsessed with sketches of natural objects and we’d exhausted everything natural in the classroom that we could sketch. We’d sketched all the plants, all the seashells, all the trees, all the rocks and bits of stone, the other class’ hamster, even each other. “Sketch of a natural object” was my least favourite thing in the entire world and it meant I couldn’t draw anything original or exciting or imaginative and I’d probably have to go outside again to find a new type of leaf. I didn’t feign sickness much at school at all. Not ever. I did it once when I was fourteen to get out of a Latin lesson with Mr. Sandal, because he was like Tywin Lannister and I’d accidentally done the wrong homework. He was probably going to put me in an oubliette because I’d learned verbs instead of nouns. I was mostly pretty well behaved. Pretty terrified of getting in trouble. But it was an impossible situation. I’d barely opened the box. I had no idea what was in it or how it worked or what it would do. There was no way I could not be excited about what was waiting for me back home. It was basically a treasure chest, a quest reward, something I’d trekked out to discover and then, thanks to my family’s generosity, won and been able to bring home. So I do it. I say that I don’t feel well. I don’t remember exactly what I say and it may not be particularly convincing (or Mrs. Jackman may just always be eternally annoyed at me anyway), but after a trip to the school nurse I’m collected and brought home. This is a rare enough event that I guess people have to take it seriously, or at least give it some credence. I don’t know. It doesn’t matter that much. All I know now is that I lost the rest of the day to Advanced HeroQuest and, by the time the evening came, I’d maybe just got a handle on things. Four, five, six hours must’ve been spent just punching out counters, reading rules and gradually spreading everything out across my bedroom floor like sweet gaming strawberry jam. “You didn’t get out of school just so that you could play with this, did you?” my father asked me, so I assume that means he wasn’t sure and my behaviour must’ve seemed at least somewhat believable. At the time, I was shuttling a couple of men-at-arms around a map I’d made myself, impressed that I could build cardboard dungeons that clicked together in all sorts of combinations and trying out a few demo battles. It was hard not to be impressed. The rules, which are perhaps a little overwrought nowadays, seemed to have everything I needed covered. There were quick reference charts for combat, tables for ranged attacks, sections on traps and monster encounters and magical or non-magical treasure. There were adventuring careers waiting to be started, spellbooks to be filled out, even rents to be paid when you came home from from clearing out the latest dungeon. From that first day, I must’ve played Advanced HeroQuest almost constantly for the next two years, both with other people and by myself. It was always spread across my bedroom floor, since it was far too sprawling to fit anywhere else, and I treated any disruption to this sacred arrangement as a great affront. It became more than just a game to me. It was a hobby, a regular ritual, and that was because it was enormous. 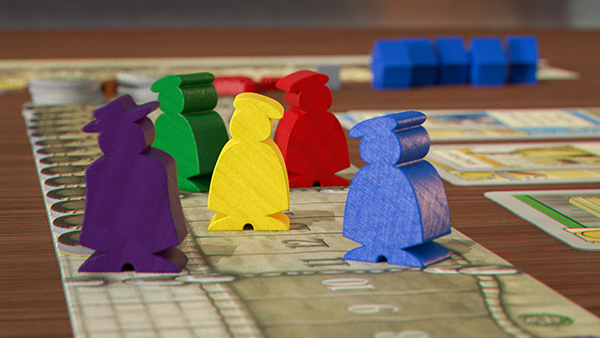 By the standards of today’s gigantic games, thirty-something miniatures or a hundred-whatever counters and tokens, or anything else like that doesn’t seem particularly grand. Sure, it’s probably not. Perhaps it wasn’t even then. That was never the point, though. 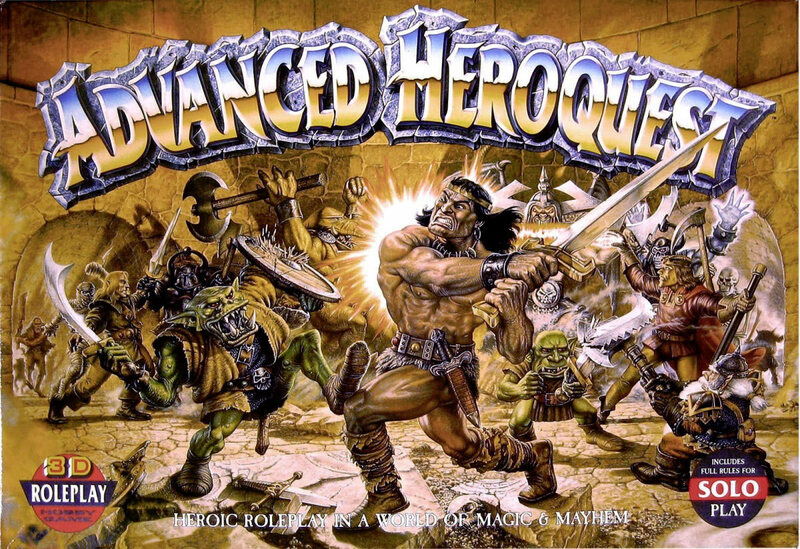 There were a couple of things about Advanced HeroQuest that were very, very special and which made it grow so, so much. First, there were those rules for solo play. What this actually meant was that the game included a system that could build dungeons on the fly. 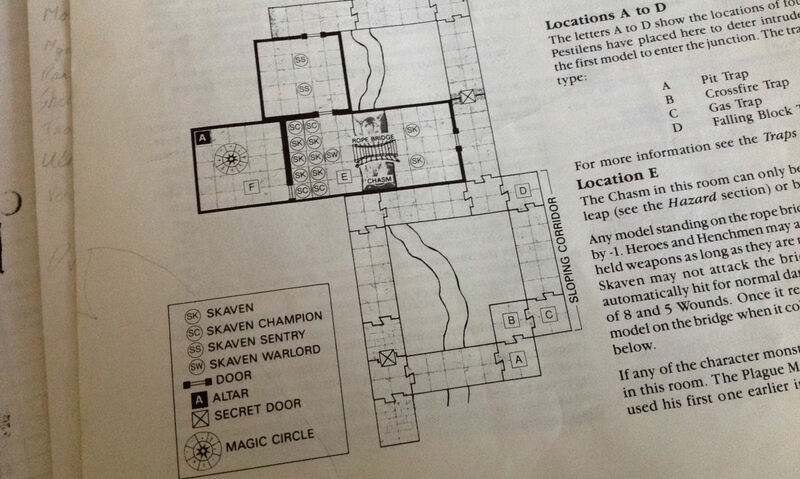 Much like the first HeroQuest, there were still dungeons mapped out already, pre-made scenarios that heroes and dungeon masters could play through, but all that required an amount of secrecy and foreknowledge. The protagonists didn’t know what they were entering into and a dungeon master would gradually lay out a map, section by section, as they explored. This time, the secrecy came from not knowing what would come next because all of it was determined by die rolls, by random chance. There were tables, you see, and dice with twelve sides. You turned a corner and rolled dice to see what was down the next corridor, to see how many doors lead off it, to see if there was a junction or stairs or a dead end. You rolled to see whether the next door you opened lead to a lair of monsters, a vital quest room or one of the game’s bizarre hazard rooms, strange locations that had some sort of challenge, puzzle or weird artefact that you had to contend with. You rolled for just about everything and gradually these new dungeons grew out of nothing, reshaping themselves every time you played. There was no way of knowing exactly what would come next. It might as well have been magic. No, it was magic. Every new game was a wave of the wand and new possibilities were the only excuse you needed to play yet again. 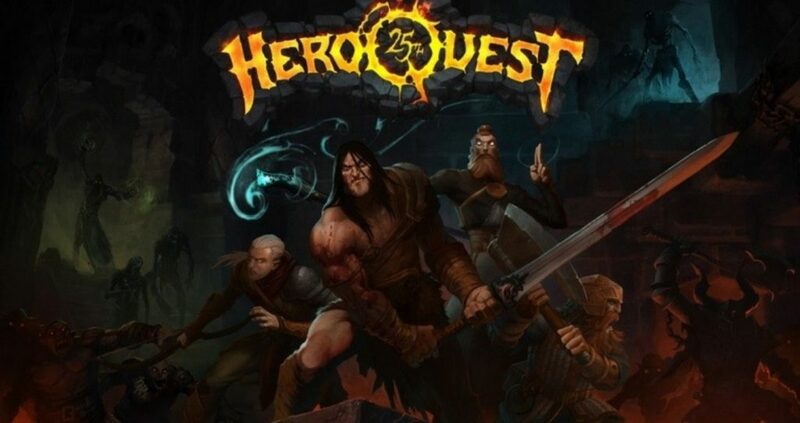 This, by itself, would’ve been enough of a hook to keep me tugging for months, but Advanced HeroQuest did something else that was arguably even more important, something that would leave even more of an impression on me than its randomly-generated dungeons. It told me to make things up. The game came with a bunch of Skaven figures and the Skaven have been my favourite thing about the Warhammer Fantasy universe ever since. Orcs and elves exist all over the place, but Skaven are unique to Warhammer and they have a particular ecology and society that fits very nicely into that world. It also came with an extensive bestiary that had rules for dozens of other creatures, all entirely optional. After those, it gave me some blank templates. It told me to photocopy these and fit in whatever I wanted. Now, the quick conclusion that I could skip to here is to say that, in one form, I’ve been doing that pretty much ever since. I photocopied those templates a lot and I created rules for entire races. There were no dark elves anywhere in the rules, so they came into being. The orcs and goblins didn’t use enough ranged units, so those guys were created. Sometimes I just invented additions because I liked making things. It didn’t stop there. The monster encounter tables were expanded. The dungeon generation matrices were altered, starting with the rules for secret doors. There were far too many secret doors coming up, I decided, so somebody needed to fix that. Then the rules themselves started to get tweaked. I was under the hood and I was rewiring everything. A not terribly famous expansion came along a little while later. Terror in the Dark had a lot of rules for the undead and for randomly generating entire campaigns, something I thought was a pretty good addition since some of the game’s original mechanics for inter-adventure things weren’t great and, yes, I’d already made alterations to those. I spent three hours straight on a Saturday afternoon digesting every single paragraph and table in Terror in the Dark before bolting it on to my already modified game. I was now outright ignoring rules I thought weren’t fun and pencilling in new ones in the margin. I’d grown tired of the same old hazard rooms coming up, so that had all changed too. Instead of the prosaic twelve-entry table, I now had my own one with around thirty different possibilities. I couldn’t stop making things up. 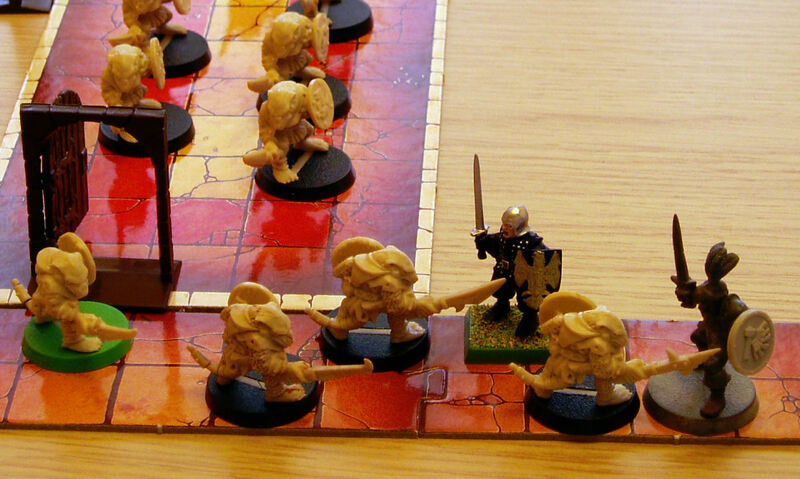 Eventually, Advanced HeroQuest’s segmented board pieces, combined with some toy soldiers, became the basis of my attempt to make something completely new, a board game based upon Wolfenstein 3D, with soldiers scuttling about corridors shooting at each other. It wasn’t very good. I started my first roleplaying a year or two after I got Advanced HeroQuest. By that point I was pretty well prepared to start inventing characters and monsters and dungeons. I’m not saying I was very good at it. No, that took quite a while, but I was good at just letting loose, at putting all sorts of crap down on the page to see what would work. I’m envious of that younger self now, I guess because I have to be more restrained when I do something like that. I may have a marginally better idea of what I’m doing, but I’ve lost some of that unfettered, wanton indulgence, that ability to just dig into a game and start pulling it apart. A not insignificant fraction of my life was spent coming home, (sometimes) doing my homework and then exploring another dungeon, perhaps with a friend, perhaps with my similarly entranced cousin or perhaps just by myself. Over time, a lot of my things were thrown out or I was convinced to part ways with them, but I couldn’t ever get rid of my Advanced HeroQuest manual. 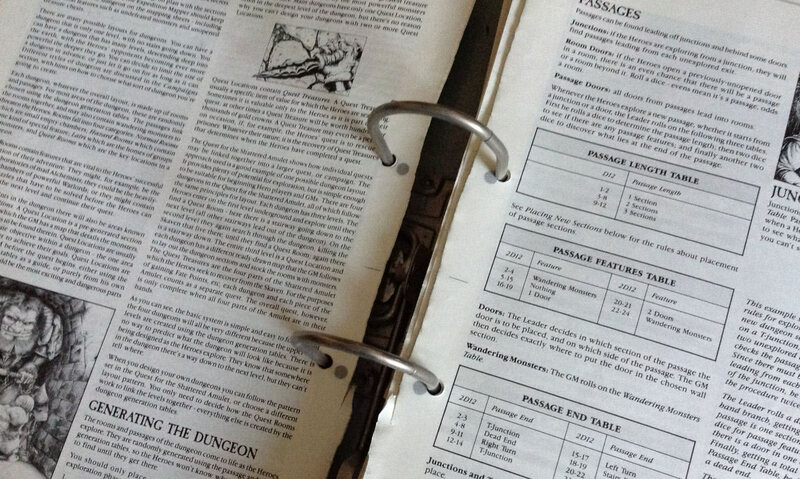 At some point in my early teens I punched holes in all the pages and ordered it in a binder, along with great wads of character sheets, maps and supplements. 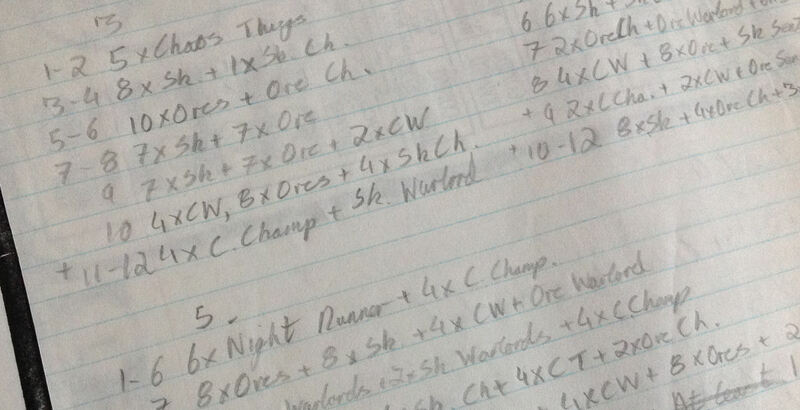 Veteran adventurers, both alive and dead, have their whole lives stored in there, stored in what I guess is now a little paper universe made of charts and tables and scrawls and notes and corrections. 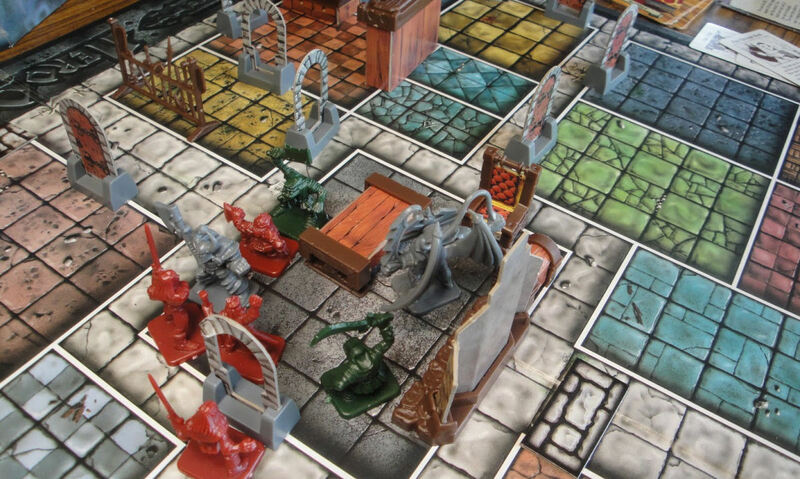 The devotion I had to Advanced HeroQuest has never been matched by any other board game, perhaps even any other game of any sort. I thought I was going to enjoy some new fantasy adventures, but I had no idea it was going to tell me that to play I should also create. It was very, very much a game that wanted me to think outside of the box, then to build outside that box and perhaps I went too far. I started and I never really finished. 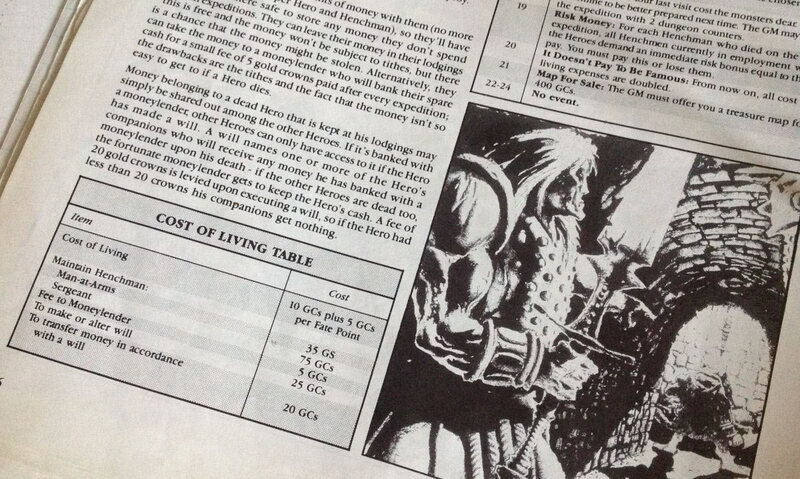 So I don’t know how I much I owe to Advanced HeroQuest, to its designer, Jervis Johnson, to Games Workshop or to anyone else involved with the game. I guess they helped me build a life out of gaming, perhaps a career out of one. Or maybe that’s an exaggeration. Is that a little too much to say? Am I stretching, embellishing just a little? What I do know is that Advanced HeroQuest found a loose thread on me somewhere and it told me to tug at it, to see what would spool out. I’ve been tugging and tugging and tugging ever since.